These are the best MIDI controllers in 2019. 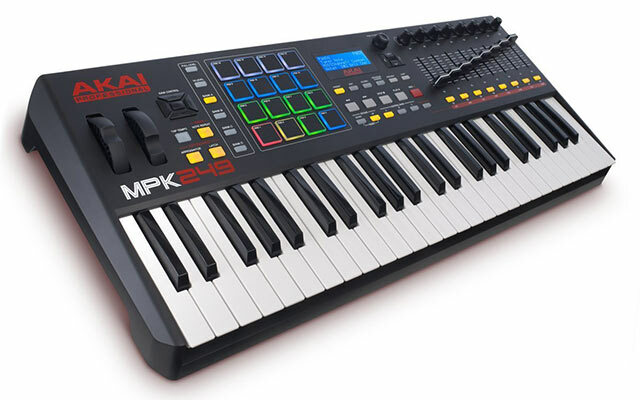 The MKII packs 25 slender, velocity-sensitive keys, a brand new four-way thumbstick for dynamic pitch and modulation manipulation, eight backlit velocity-sensitive MPC-style pads plus two banks, and eight assignable control knobs. Launchkey Mini makes it easy and fun to produce music in Ableton Live. All the controls work as soon as you plug it in. 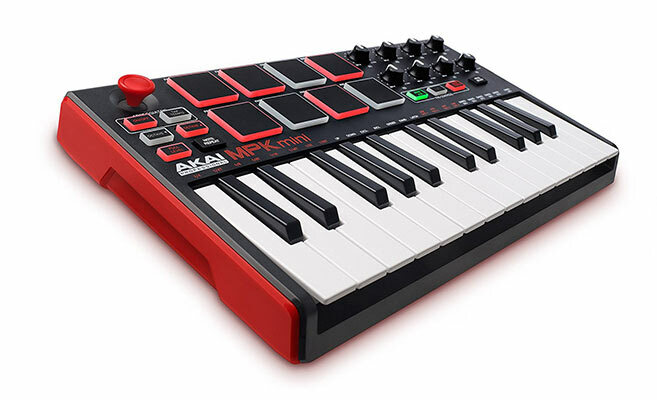 You can also easily tweak your instruments using eight high-quality knobs, and sketch out ideas on a 25-note mini keyboard with a fast synth-style action that makes it really nice to play. 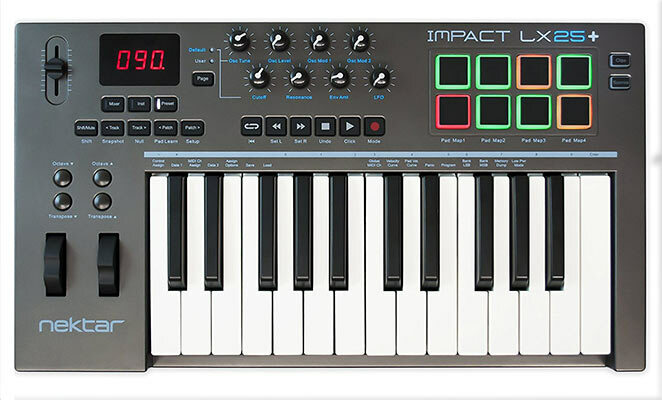 The Impact LX25+ MIDI controller is compact and portable yet jam-packed with intelligent and expressive performance control. With Impact LX25+ the hard work is done, so you can focus on your creativity. The 25 note velocity sensitive keyboard is a synth action, full-size, piano-style keys with a medium tension. The Alesis V61 is a powerful, intuitive MIDI controller that lets you take command of your computer’s music software without giving up your capacity for dynamic performances. M-Audio pioneered the portable MIDI controller market with the original Oxygen series of keyboard controllers. Thanks to a decade’s worth of continued innovation, today the new Oxygen MKIV series controllers offer more control and deeper hardware/software integration. 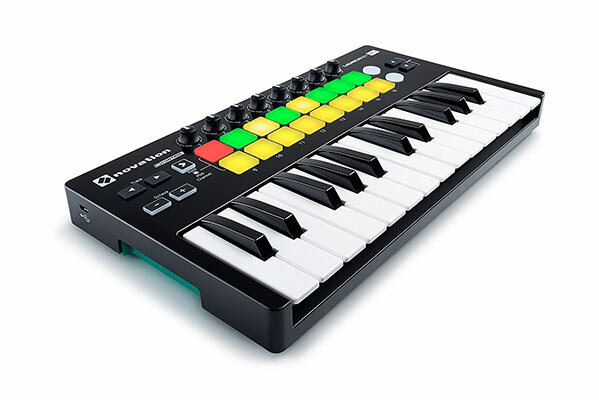 Novation’s Impulse is a range of professional USB/MIDI controllers. They each have a precision keyboard and a full control surface powered by a brand new version of Novation’s Automap control software – Automap 4 (which makes getting hands-on with your DAW/plug-ins fast and simple). 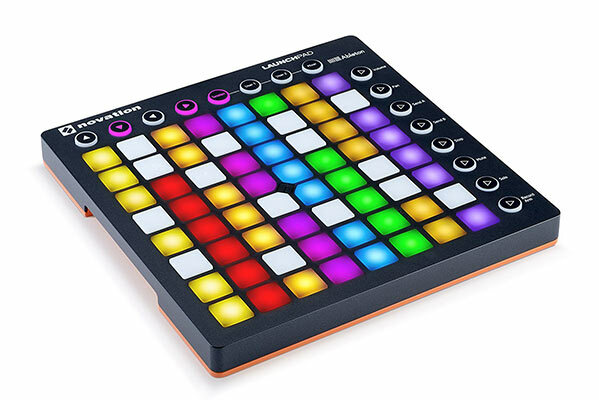 Impulse also has 8 back-lit drum pads which can warp arpeggios, roll beats and launch clips in Ableton live. Go where the music takes you. Meet the ultimate MIDI mobile keyboard. Featuring an ultra-slim lightweight design, the XKey is made for creation wherever inspiration strikes you. From the studio to your living room and everywhere in between; this keyboard brings professional performance anywhere. Simply plug Xkey into your device and play with the best apps. Xkey is a fully compliant, USB MIDI controller. USB master keyboard with 61 full size dynamic keys, pitch bend and modulation wheel, LED display. 2x MIDI Out, USB bus-powered, connection for optional sustain pedal, includes USB cable.